Prince Leopold of Saxe-Coburg-Saalfeld could have become British Prince Consort instead than the first King Of The Belgians. His first wife was Princess Charlotte of Wales, heir to the British throne and their marriage was a love match, something very rare among royal couples. Sadly, their union was also very brief. Princess Charlotte died about a year and a half after their wedding, giving birth to a stillborn son. Leopold was distraught. He went on to become King of The Belgians and married again, this time to Louise of Orleans. But even though he cared and respected his new wife, he never forgot Charlotte. The King of the Belgians to Queen Victoria. My dearest and most beloved Victoria,—Receive my sincerest and most heartfelt good wishes on the happy reappearance of your birthday. I need not dwell on my sentiments of devotion to you; they began with your life, and will only end with mine. The only claim I make is to be remembered with some little affection. Thank heaven, I have little to wish you, than that your present happiness may not be disturbed, and that those who are dear to you may be preserved for your happiness. My gift is Charlotte’s portrait. The face is extremely like, and the likest that exists; the hair is a little too fair, it had become also darker. I take this opportunity to repeat that Charlotte was a noble-minded and highly gifted creature. She was nervous, as all the family have been; she could be violent, but then she was full of repentance for it, and her disposition highly generous and susceptible of great devotion. I am the more bound to say this, as I understood that you had some notion that she had been very imperious, and not mistress of her temper. Before her marriage some people by dint of flattery had tried to give her masculine tastes; and in short had pushed her to become one day a sort of Queen Elizabeth. These sentiments were already a little modified before her marriage. But she was particularly determined to be a good and obedient wife; some of her friends were anxious she should not; amongst these Madame de Flahaut must be mentioned en première ligne. This became even a subject which severed the intimacy between them. Madame de Flahaut, much older than Charlotte, and of a sour and determined character, had gained an influence which partook on Charlotte’s part a little of fear. She was afraid of her, but when once supported took courage. People were much struck on the 2nd of May 1816 at Carlton House with the clearness and firmness with which she pronounced “and obey,” etc., as there had been a general belief that it would be for the husband to give these promises. The Regent put me particularly on my guard, and said, “If you don’t resist she will govern you with a high hand.” Your own experience has convinced you that real affection changes many sentiments that may have been implanted into the mind of a young girl. With Charlotte it was the more meritorious, as from a very early period of her life she was considered as the heiress of the Crown; the Whigs flattered her extremely, and later, when she got by my intervention reconciled to the Tories, they also made great efforts to please her. Her understanding was extremely good; she knew everybody, and I even afterwards found her judgment generally extremely correct. She had read a great deal and knew well what she had read. Generous she was almost too much, and her devotion was quite affecting, from a character so much pushed to be selfish and imperious. I will here end my souvenir of poor dear Charlotte, but I thought that the subject could not but be interesting to you. Her constancy in wishing to marry me, which she maintained under difficulties of every description, has been the foundation of all that touched the family afterwards. 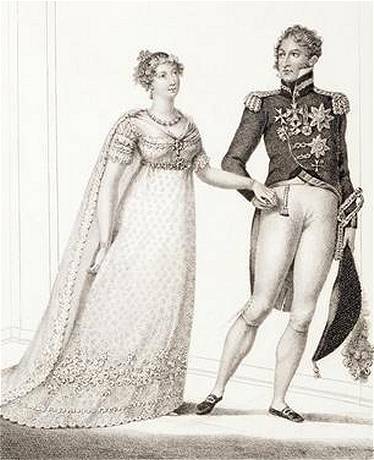 You know, I believe, that your poor father was the chief promoter, though also the Yorks were; but our correspondence from 1814 till 1816 was entirely carried on through his kind intervention; it would otherwise have been impossible, as she was really treated as a sort of prisoner. Grant always to that good and generous Charlotte, who sleeps already with her beautiful little boy so long, where all will go to, an affectionate remembrance, and believe me she deserves it. Forgive my long letter, and see in it, what it really is, a token of the great affection I have for you. Ever, my dearest Victoria, your devoted Uncle.